[set star] "Fiction and history coalesce in a rich, ripping tale of assassinations, political intrigue and religion. . . . LaFevers’ ambitious tapestry includes poison and treason and murder, valor and honor and slow love, suspense and sexuality and mercy. A page-turner—with grace." 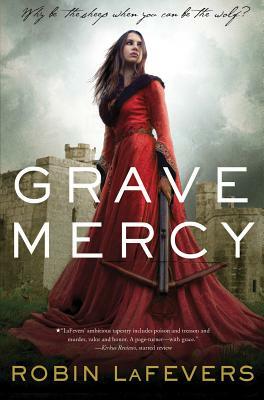 --Kirkus Reviews, starred review Seventeen-year-old Ismae escapes from the brutality of an arranged marriage to the respite of the convent of St. Mortain. Here she learns that the god of Death has blessed her with dangerous gifts and a violent destiny. To claim her new life, she must destroy the lives of others. But how can she deliver Death’s vengeance upon a target who has stolen her heart?